As time’s passing and I’m getting older I started to like autumn. I appreciate all the goodies we can enjoy, the colourful foods and prepare for the cold winter days. 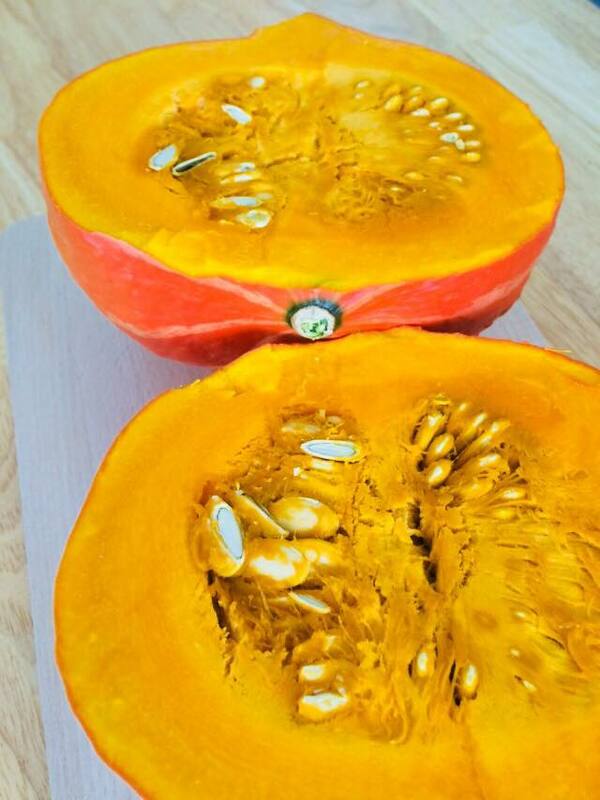 Pumpkin is one of my favourite autumn food. 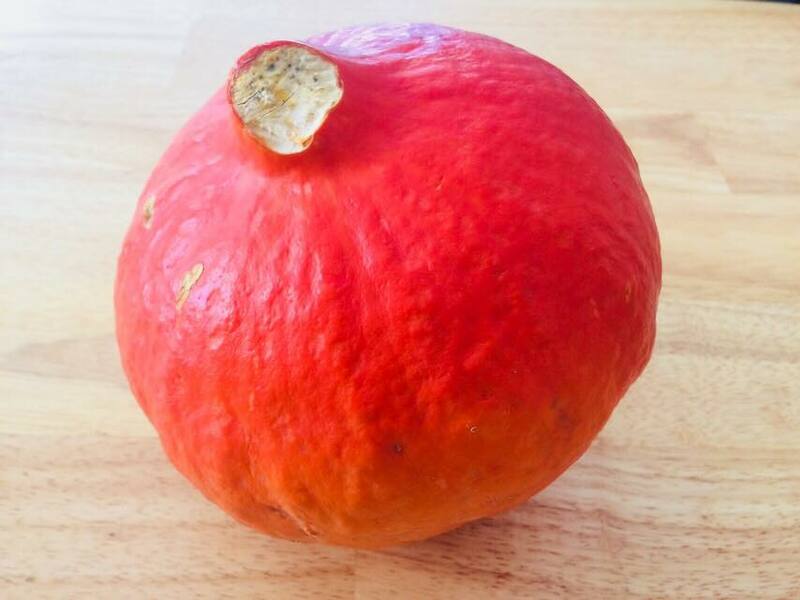 I love its taste, colour and you can prepare it in so many different ways. I especially enjoy preparing cream soup with ginger on the cold days. I recently prepared this fantastic soup. I hope you will enjoy it as much as I do! 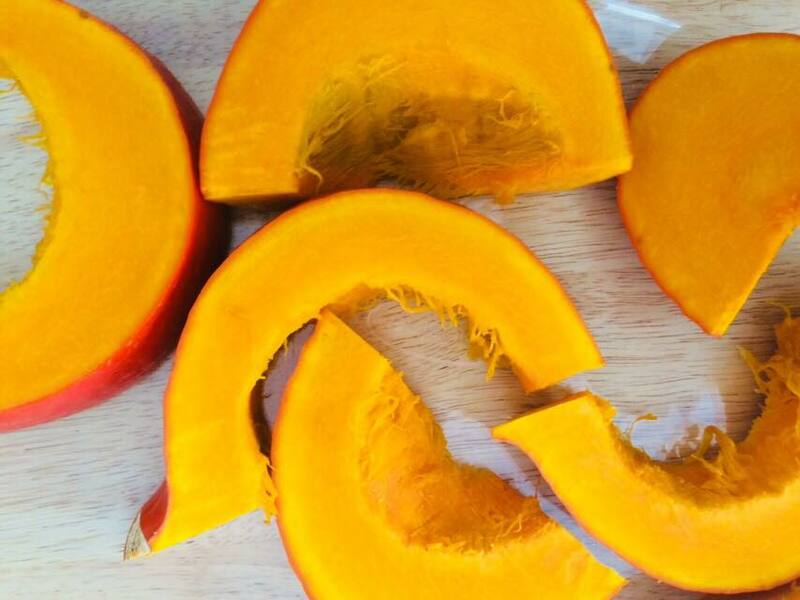 Chop the half of the pumpin into smaller pieces, preheat the oven to 180°C and roast the pumpkin until golden brown. Chop the onion and garlic, preheat the oil and cook them (but don0t burn). 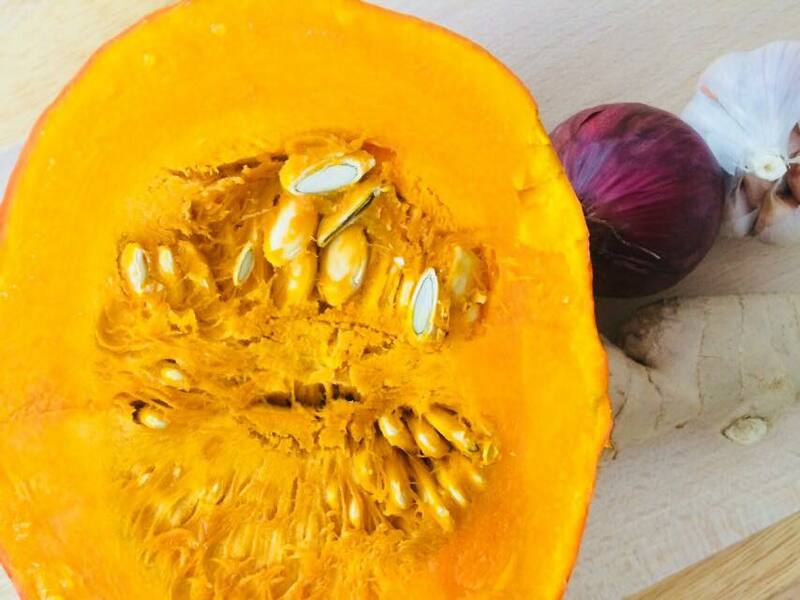 Cut the pumpkin into smaller pieces and add it to the onion. I used to remove the skin but this time I didn’t peel it and it was completely fine. Don’t forget to add the ginger if you like it but you can leave out if you want. Add the chicken broth and bring to boil but not for a long time (1-2 min). Remove from the cooking-stove and blend it with a blender. When it’s done add the cream and cook the soup again for 1-2 min while you stir it. I served it with pumpkin seed, red paprika and some cream on the top but you can replace it with pumpkin seed oil.